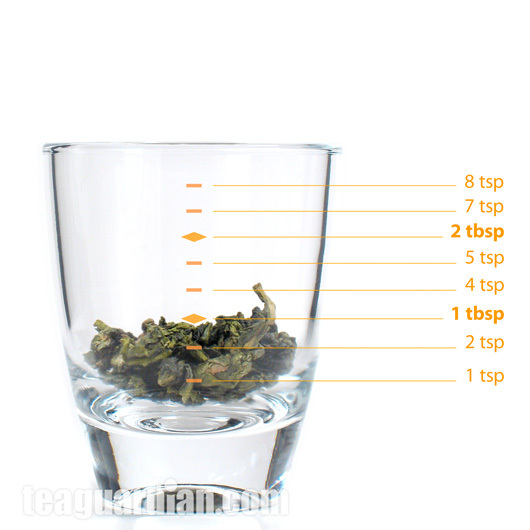 Tea density affects volume. So how much is 3 grams of tea? 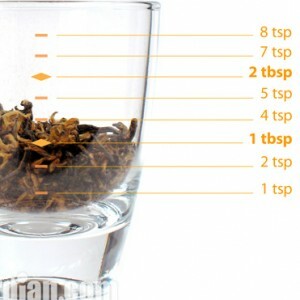 Why is this 3 gram of any significance in measurements for tea making? 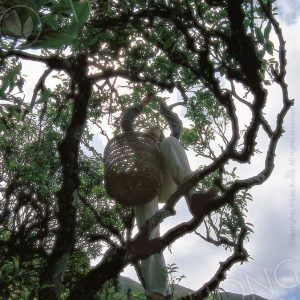 Good measurement practice is key to successful tea-making, at least before you know by heart how much, how hot, and how long all those infusion parameters and variables are. 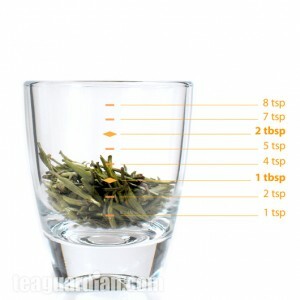 This article covers the basic measurement concepts for successfully making a good cup of tea. 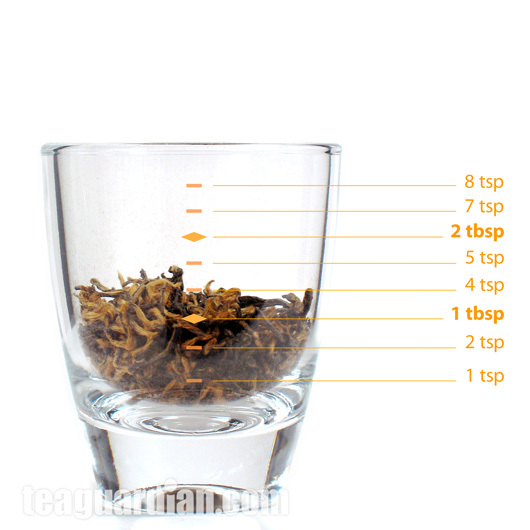 To the convention of steeping tea in the pot for 5 to 6 minutes for infusion, there are two popular tealeaves to water ratios. The numbers are rounded here for ease of reference. If you maintain the practice of separating the tealeaves from the tea after the needed infusion time, and make tea for one or two persons mostly, it is advisable that you follow the proper tasting standard. 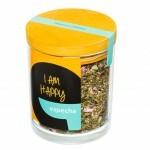 It renders a fuller taste profile of the tea selection. How much is 3 grams of tea? 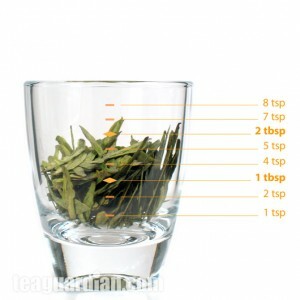 In the world of whole-leaf teas, it is how the tea is shaped, i.e. how tightly or loosely it is twisted or curled, that affects its bulkiness. Tip amount and leaf size matters too. The samples shown here are selected for illustrating these factors. Other reasons, such as whether it has taken up a lot of moisture from the air, or how much its whole leaves have been broken through handling and storage can contribute to significant difference as well. Click any of the above thumbnail-images to begin viewing the difference. So how much is 3, 6 or 9 grams of tea? Different kinds of tea have different density. Therefore it is impossible to say a heapful teaspoon is 3 grams. Even within the category of mass market broken grade black teas, a GFBOP, with more tips and less cut down, is obviously bulkier than an ordinary BOP. With whole leaf teas, the difference is a lot more dramatic. 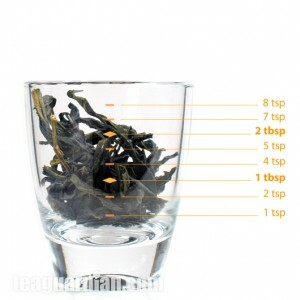 If you do not want to use the weighing scale, and is confident in eyeballing your tea amount, the photos above are visual clues for you to see how much 3 g of some teas look like. A GFBOP (Golden Flowery Broken Orange Pekoe) is included for your reference. 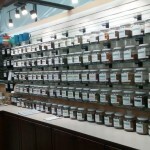 All others are well stored, fine whole leaf teas. 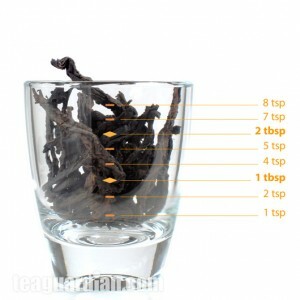 Tealeaves to water ratio for gongfu infusion approaches will be discussed in a separate chapter. For those who are eager to start experimenting, begin with 8 g to the 140 ml gaiwan. So how much tea is a cup? Most conventional teacups normally hold 150 ml, when filled to 1.5 cm below the rim. 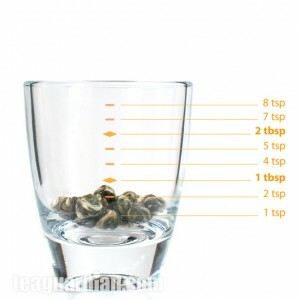 In measurement for cooking, a cup is 250 ml (236 ml, or 8 ounces in US). That is how much a “standard” cup holds when filled to the rim. However, very few people fill their cups that way with tea. And actual tea cups do vary in shapes and sizes. 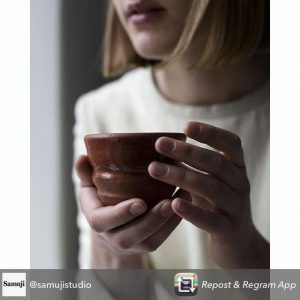 When most people refer to a cup of tea, the cup is filled to about 1.5 cm (or about half an inch) below the rim. That is 150 ml (or 5 ounces), to round numbers for easy reference. Basically hot water at any degree gets something out of the leaves. 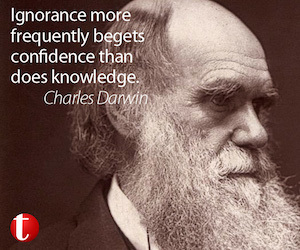 However, most teas show their best at certain temperature. 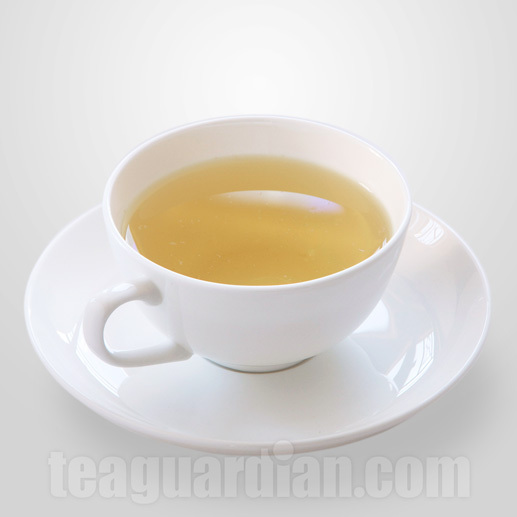 Some people even recommend cold water infusion for particular green teas. 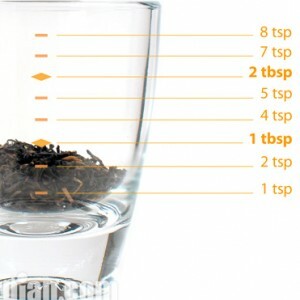 Water temperature is defined as that taken immediately before the water is pour into the teapot for infusion. These temperature settings are recommended on the basis that the pot is pre-warmed and the room temperature is normal. 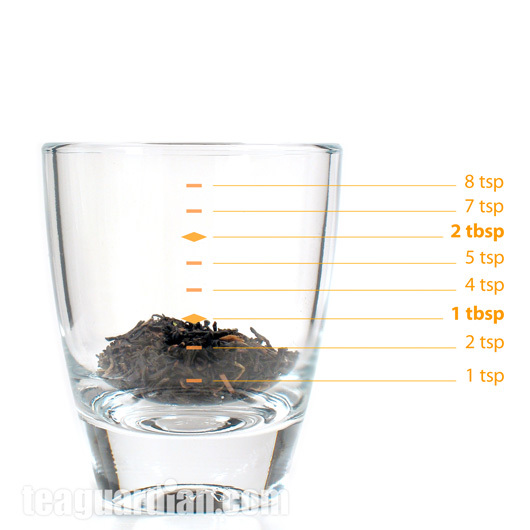 These temperature settings are set according to fine teas and they are for reference only. Taste materials dissoluble vary dramatically amongst selections even within one single variety. It is advisable to use this as a starting point to adjust to the particular selection you are using. Different infusion methods and variations of tools and technique also affect the optimum water temperature for infusion. Use a slightly higher temperature when you are infusing with a large pot. 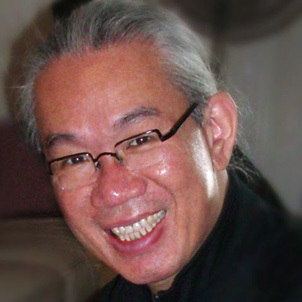 Finesse in temperature control will be discussed in future chapters on gongfu approaches. Glad that you find the info useful. That’s what we are here for. I like the way you guided to learn experimenting tea grades. 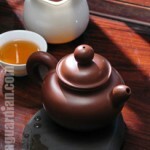 I am stepping in business of tea trading & was looking some blog how to test tea-quality. Thanks for all the information you provided here. Hope to learn more. May I copy and paste some information from here to my website? Welcome to the tea trade family. I am glad that our information is of help. Please when you quote a small section of our content, you acknowledge where you quote it from, so that you are not infringing on copyrights issue. 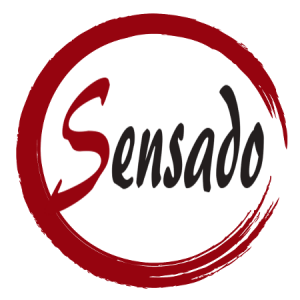 You are always welcome to link to our pages for the needed information. For added effect, I used a scale and weighed out 8 g of GABA Orange, a dense tea that has swelled up into tsunami proportions on me once before. I bet Tea Guardian knows what happened without my having to tell you. Let’s just say that Ms. Gaiwan was not amused. Her lid now rests atop a tower of leaves like a big, round, raised eyebrow saying, “I told you so.” Still, the tea tastes good to me, though it does make me wonder if it is supposed to taste like something else when correctly infused. Darn it, now I am going to have to read the next chapter. Will the Tea Guardian student learn the correct leaf-to-water ratio? Will Ms. Gaiwan keep her lid on? Tune in to find out. 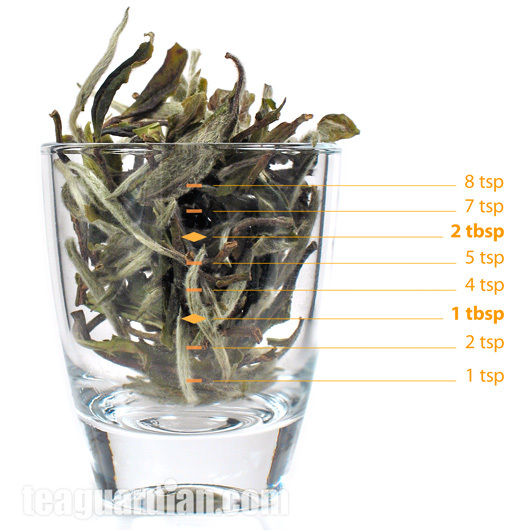 You suggest steeping Silver Needle at atleast 194 degrees F. I always read different suggestions. Some say 185 is ideal. Some say anything over 190 will extract too much from the first steep and not leave enough for the re-steeps. Some even say 195 F will burn it. And then of course some suggest 195 F for 1:30 while others recommend 195 for 3-4 minutes. Can you please explain this to me because from one vendor to the the next, it’s all over the place in terms of steeping directions? See reply to same question on the Silver Needle article.